The Ones Who Wait—Part 2, a six-song EP by Denison Witmer, comes out today. 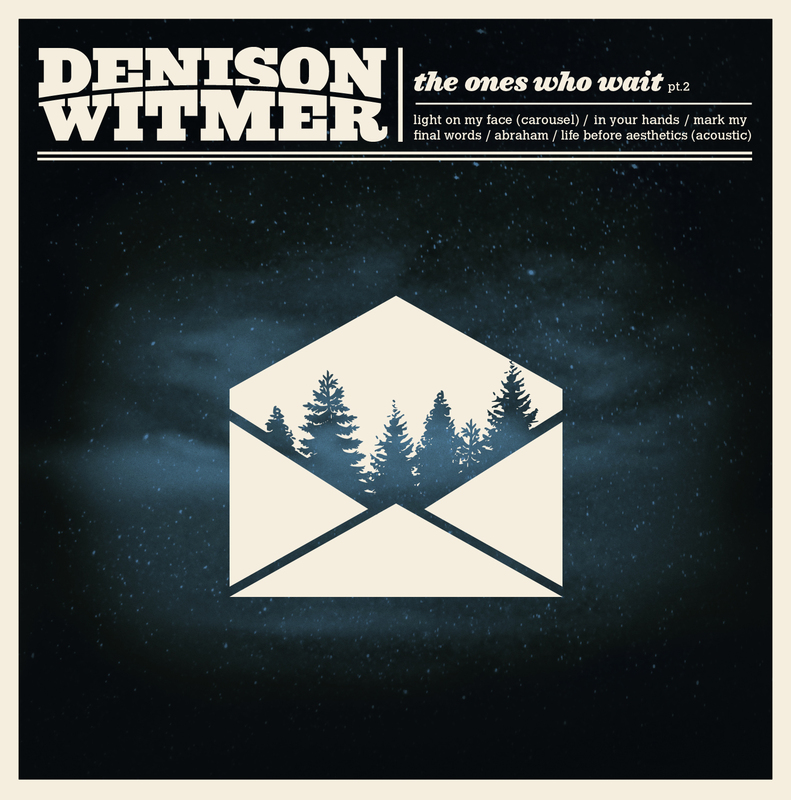 Part 2 is a follow-up to Denison’s March 2012 full-length, The Ones Who Wait. Rather than a cohesive album, Part 2 is a collection of songs that form a concluding chapter to The Ones Who Wait, tying up loose ends in anticipation of the spring 2013 release of Denison’s tenth record. The EP features a handful of reinvented songs from The Ones Who Wait, previously unreleased material, and a spacious, patient cover of label-mate Sufjan Steven’s “Abraham.” The Ones Who Wait—Part 2 is available on Bandcamp, iTunes, Amazon. The Ones Who Wait Part 2 EP is a follow up to Denison’s March 2012 release, The Ones Who Wait and features a few alternate versions of songs that appear on The Ones Who Wait.